There’s a new superhero in Pakistan and she’s out to fight misogyny, corruption and abuse. 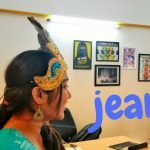 Pakistan Girl, a comic series about the life of a Pakistani teenager, Sarah, is taking bookstores by the storm. Sarah is a cat lover who discovers that she has superpowers after waking up from a coma. She teaches abusive men on the street a lesson and rescues hostages from greedy cops, a report states. 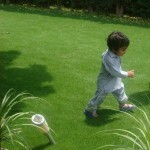 She wears a green cape, symbolising Pakistan’s national colour and saves women from abuse and mistreatment. 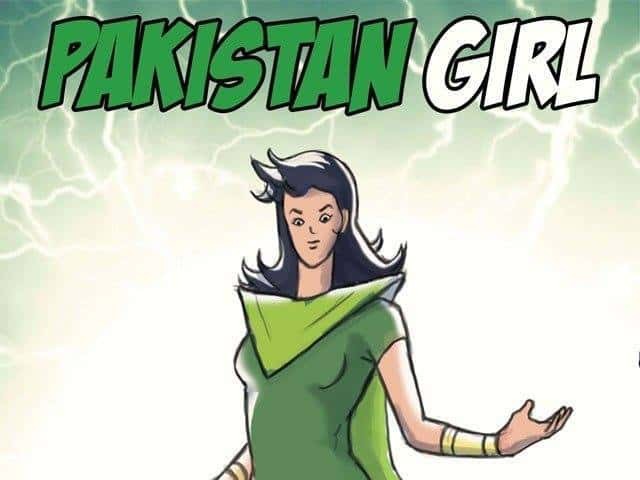 The creator of the comic, Hassan Siddiqui created Pakistan Girl in the hopes that Sarah’s self-reliance and power will inspire teenage girls in Pakistan to fight corruption and to stand up for themselves. Siddiqui had earlier created Pakistan Man, a popular hero who fights corruption. Perhaps he felt the need to represent two genders in his comic portfolio and decided to bring in Sarah as an afterthought. We’re not complaining. Pakistan is not new to superhero comics. Earlier in 2013, The Burka Avenger comic series showed a teacher fighting gangsters trying to shut her school down in Pakistan. In 2016, artist Wasiq Haris created a female superhero series called Raat where the superhero of the same name acted as a vigilante in Karachi and fought crime in its streets at night, à la female, badass Batman. 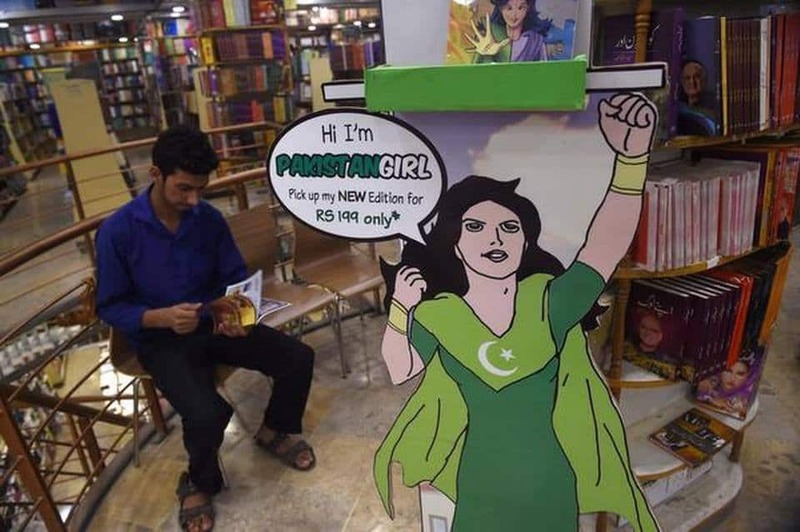 This also sets a wonderful precedent in breaking stereotypes about female superheroes for Pakistan Girl’s costume is not designed to be eye candy for readers. It focuses on what she does rather than what she looks like. 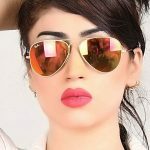 While Pakistan has plenty of real life superheroes in the form of Tabassum Adnan, Samar Minnallah and Malala Yousufzai, here’s hoping Sarah A.K.A Pakistan Girl also finds a prominent place in the hearts of Pakistani teenagers and adults and serves as an inspiration to them, some of which can happily spill across the border.